Do you have old tax records or other confidential documents you would like to dispose? 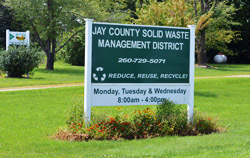 The Jay County SWM District will be providing free shredding for county residents. Documents will be shredded on site and in front of your eyes. Please remember we will not keep your boxes, so expect those to be returned!